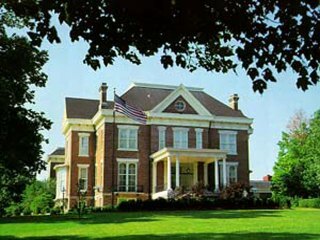 The Executive Mansion has served as the official residence of Illinois' Governors and their families since Gov. Joel Matteson took up residence there in 1855. Efforts will start this week in Springfield to raise private money to pay for a needed $8.8 million in renovations and repairs to the 160-year-old Illinois Executive Mansion. The nonprofit Illinois Executive Mansion Association planned a Wednesday cocktail party at the mansion that's expected to be attended by Gov. Bruce Rauner and former governors Jim Edgar and Jim Thompson. A chairman of the mansion association board told The State Journal-Register that the statewide campaign will seek both large and small donations. He says it even could include a "pennies for the mansion" effort in the schools. Problems with the mansion include roof leaks, water damage, wood decay and outdated heating and cooling systems. Last year, $2.4 million in emergency repairs for the mansion was approved but never spent.